What Is Midcentury Modern Style? There's no question that midcentury modern style is trending throughout the design world right now. 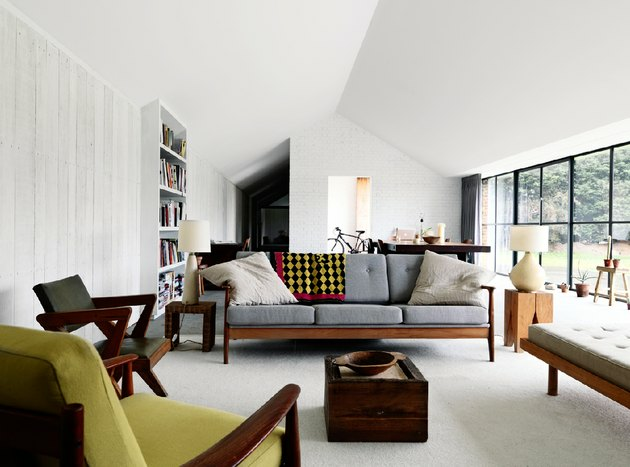 The question is, what is midcentury modern style? Midcentury design generally refers to the time period of about the 1940s to 1960s. It was a culturally eclectic era, bursting with creative expression in art, design, music, and fashion, and when it comes to decor, we're currently in the midst of a revival. If your next design project calls for midcentury modern style, include the following elements to be a smashing success. Have you ever noticed that almost all midcentury homes are single story? More than that, many of them have hidden levels of interior elevation (or more accurately, descent) — little sets of three to four steps that make the interior profile of the house even lower than it appears to be from the outside. 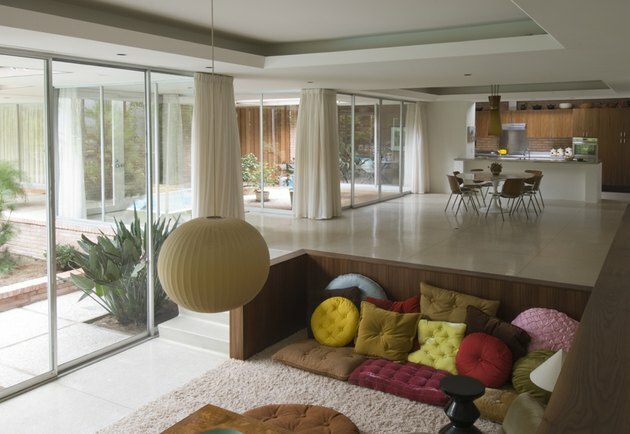 Many midcentury homes include sunken rooms (check out the pillowy seating area in the photo above). But the open-concept floor plans of which we are so fond in this modern day mean making adjustments to the up-and-down floor-heights found in classic midcentury designs (which tend to make houses feel compartmentalized). Midcentury modern style homes still like keeping things low (particularly seating options), but prefer creating one large sunken room (including areas for cooking, dining, and seating) by having the small set of steps wrap all the way around the sunken area. Brightly polished metal fixtures supporting oversized spherical lights are among the most easily recognizable design elements of midcentury style. 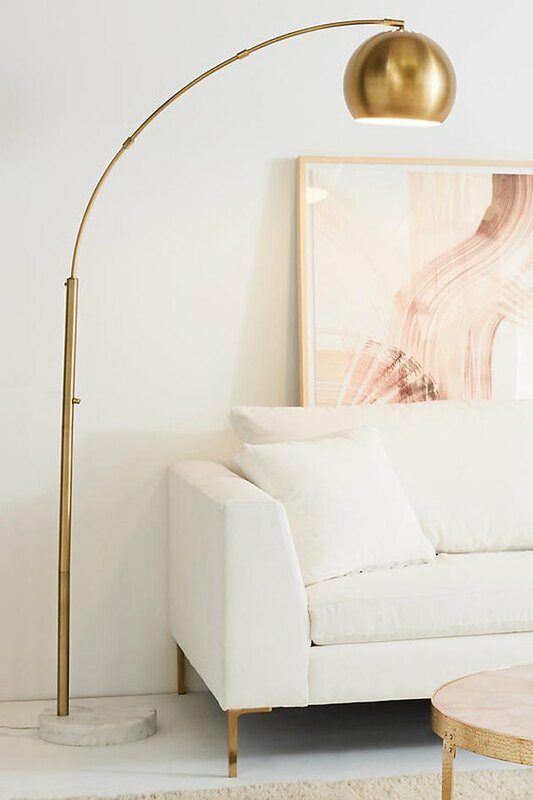 It's no surprise that they're a staple of midcentury modern style, as they add a glamorous dash of panache to decor while providing illumination. Go-tos include hanging globe pendants, spherical ceiling sconces, and of course the iconic Arco lamp. Oh, so many textures. The midcentury period of design was highly tactile with its textiles: velvet, crushed velvet, corduroy, leather, even fur (and who could forget about mohair) featured frequently — and even simultaneously — in midcentury decor. Midcentury modern style holds on to the practice of mixing textured textiles, but does so on a much more minimalist scale. 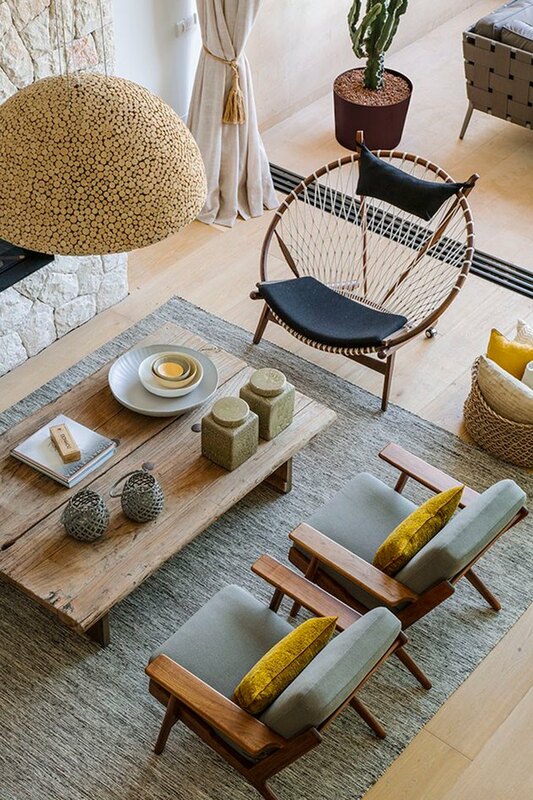 Midcentury modern chairs in particular are having their (second) moment in the sun right now, upholstered in a variety of textured textiles. Full shag carpeting is a cleaning nightmare though, so as fun as that particular midcentury texture might have been, for the most part you'll only find area rugs in midcentury modern style homes (which usually nix carpeting altogether). 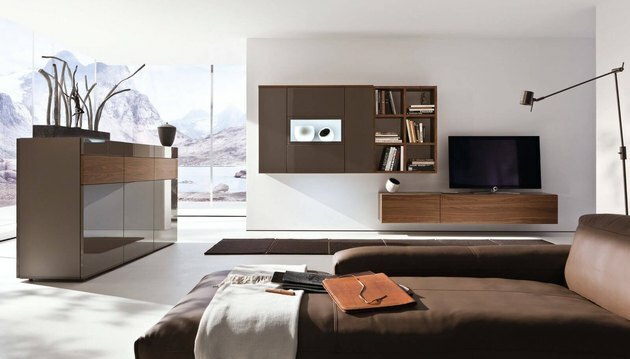 Form and function meet with modular furniture that's easy to rearrange. The aesthetically pleasing clean lines of modular furniture are mostly associated with the '60s, but it's had some serious staying power, and it won't be going away anytime soon. While we see modular furniture used in offices the world over, it's also a key component of midcentury modern style in the home, and it isn't hard to see why. Modular furniture offers simple, clean, stylish storage solutions like the cabinets pictured above, by Dutch company Eijerkamp. Thankfully our modern foray into midcentury style takes a conservative approach rather than diving headlong into earth tones. So unlike grandma's house, when you walk into a midcentury modern style home you won't be inundated with pumpkiny oranges, pea soup greens, and mustardy yellows all in the same room. Modern homes add some depth to the midcentury earth tone color palette, with rustier oranges, more olive than pea greens and sunnier (and subtler) yellows. Midcentury modern style will often stick to a primarily neutral color palette, using earth tones in soft or muted hues for color accents. Try out your earth tone color palette on a simple midcentury dining set. Midcentury style gave rise to the bachelor pad, and while we may have gotten rid of the cheesy lava lamps, we've kept the classic lighting of the midcentury fireplace. Glass and stone building materials are perfect for accentuating the modern in a midcentury style fireplace. 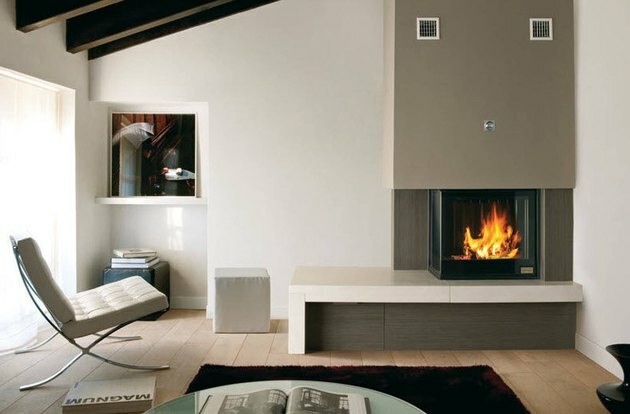 And despite the old-school style, these are almost exclusively modern, gas-lit fireplaces, in case you were wondering — so save that bundle of firewood for a more traditional residence. Can You Use Cornice Versus Crown on a Ceiling?